If you’re a fan of photo booths and you miss the fun you used to experience whenever you took silly pictures with your friends in one, then you’ll be happy to know that you don’t need a real photo booth to recreate those good moments. You can try a virtual one on your smartphone or tablet instead. Today, we’re going to tell you all about how to use a photo booth app. Furthermore, we’re going to provide you with 3 of the best apps you can find on the market. Photo booth apps are apps that allow you to personalize your pictures as you would in a real photo booth. This involves everything from fun template borders that frame your pictures, to the possibility of creating your own borders. Apart from that, you also get stickers that you can place on your pictures, according to the event you want to use the app for. Most photo booth apps come with funny filters and colorful props, guaranteeing a ton of fun for you and your friends. Photo booth apps are not difficult to use either. Basically, they work just as selfie apps do, in that you take the pictures using the front camera (or the back one if you prefer), and you choose the filters that you want to use and the stickers and borders that you want to add. The great thing about a photo booth app is that it takes multiple pictures in a matter of seconds, recreating the original atmosphere of a photo booth. Most such apps allow you to instantly share the pictures on social media, or even print them out if you want to. The first photo booth app we would like to discuss today is strictly available to iOS users. The My Photobooth App allows users to turn their devices into photo booths by adding borders to their photos, printing the pictures directly from the app, and using awesome filters. One of the best things about this app is the fact that you can lock your device so that the people using the app won’t be able to go through your iPhone or iPad. 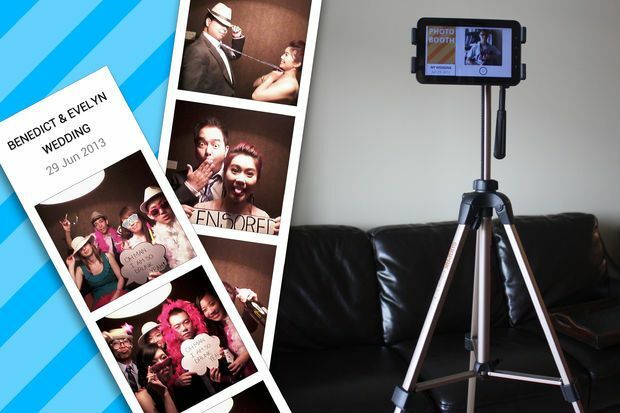 That way, you can confidently use this iPhone and iPad photo booth app at parties and provide your guests with a great time. My Photobooth App allows you to use both the front and the back camera of your device, and you can take pictures using the landscape as well as the portrait mode. If you don’t want to print the pictures, but you still want to add them to your collection, you can use the app to email them or share them on Facebook. Overall, this app is a great option for parties, weddings, birthdays, or even a low-key Friday night in with your friends. Pocketbooth is a photo booth app for Android as well as iOS, and its appeal comes from its ability to take pictures that you would only get in a vintage photo booth. So if you’re a fan of vintage looking photographs, you’re going to want to give this photo booth app a chance. The app allows you to create photo strips, so you’re bound to have some fun trying to change positions every couple of seconds. Plus, you can choose from their 5 gorgeous effects and 2 border styles. If you want even more options, there are in-app purchases that can help you with that. As in the case of the previous photo booth app we’ve discussed, this one too makes it extremely easy for you to share your pictures on social media. If you’re into more traditional ways of saving pictures, you can also print them instantly and use them as wall hangings or gifts. Speaking of gifts, you also have the option of choosing a photo strip and asking the makers of the app to mail it to whomever you want. They will print it on glossy paper and take care of everything for you. The last option we’d like to discuss in today’s guide is a photo booth app that is only available for Android devices. 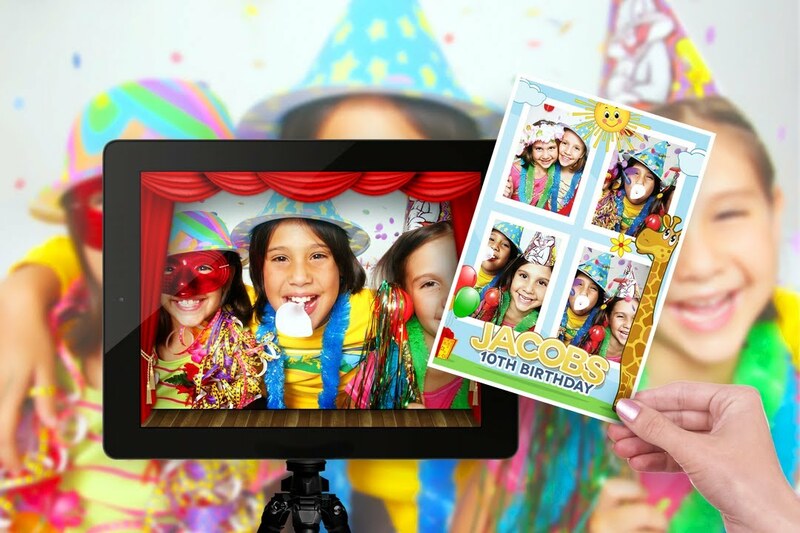 The Party Photo Booth app is designed for any type of party, from birthdays, to weddings, or anniversaries. You get detailed instructions on how to turn your device into a photo booth, and once you’re done, you don’t have to worry about the app switching off or anything to that effect. For an even more original experience, you can place your device on a tripod and invite guests to take turns using the app. If you link your social media accounts, as well as your Dropbox and Google Cloud Print ones, the app will automatically share the pictures without you having to do that manually. You can choose from several templates and have fun while testing out different poses. As in the case of My Photobooth App, this app too provides you with the privacy you need. You can set the app to run in the foreground and protect it with a password for extra safety. The photo booth experience is enriched by the possibility of using a countdown timer and a Bluetooth remote, making this app the center of attention at any party. Are you organizing a surprise party for a friend’s birthday? Would you like to surprise your best friend on her wedding day with a photo booth where people can take pictures as mementos from the wedding? Regardless of the kind of event you want to spruce up with a photo booth app, the good times are guaranteed. Most photo booth apps are either free of charge, or contain in-app purchases for extra features, but they’re definitely much cheaper than a traditional photo booth. Save some money and share your photos on social media with a photo booth app!